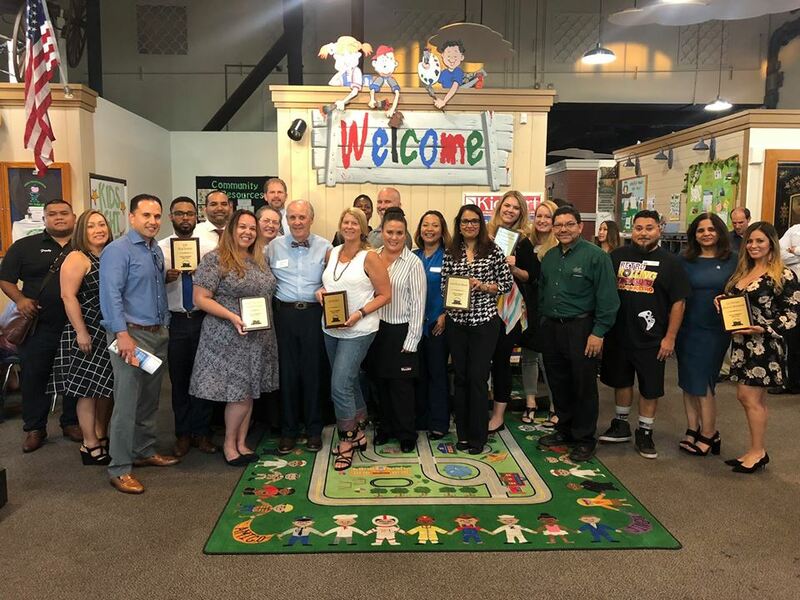 Our Chino Valley Chamber of Commerce has seen a lot of growth since July and we plan to keep that trend going into 2019. I wanted to share with you all a few things we accomplished last year and how we plan to continue to improve in 2019. There are three main ways the Chamber earns revenue: through membership, sponsorship and the events we host. We are adding several new events and opportunities for our members including our Business @ Lunches, golf tournament, directory, display advertising, our Angel nights, enhanced Ribbon Cuttings and Chamber produced videos. 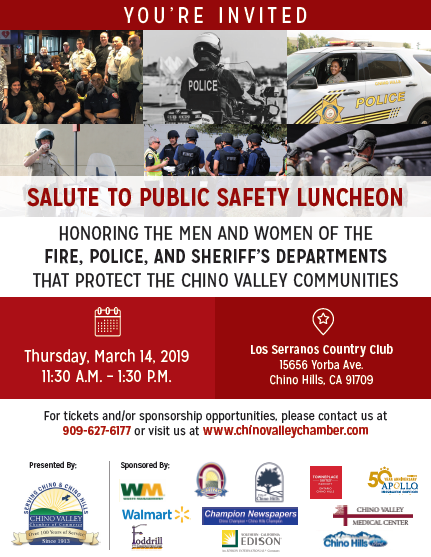 Currently, the Chino Valley Chamber of Commerce puts on the Salute to Public Safety, the Taste of the Chino Valley, the State of the City for Chino, the State of the City for Chino Hills, the Installation Dinner, the Business Expo and the Holiday Luncheon. Our goal is to make sure these all improve by monitoring feedback to make sure they improve over time and to increase participation. Last quarter, our Holiday Luncheon received exceptional feedback from the surveys we asked attendees to fill out. We had a perfect 5 out of 5 on the success of our Holiday Luncheon. We also saw substantial growth in attendees (from 103 to 129) and sponsorships. 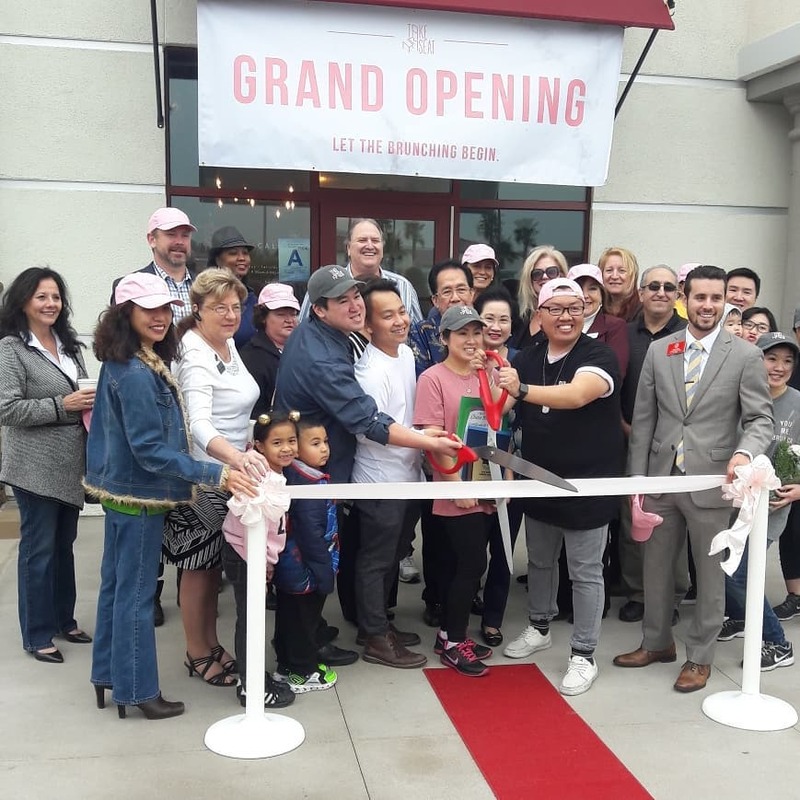 The Chino Valley Chamber does a lot of different things and each of those things have routines that previously was only known by those who managed and operated them. By systematizing everything we do we are communicating more effectively with everyone involved and creating procedures in place so everyone is on the same page. We can also use these materials to help support our businesses. One example of this is our Ribbon Cuttings. When a company hosted a Ribbon Cutting they were left to their own intuition on how to conduct a Ribbon Cutting. We’ve now created a system for our Ribbon Cutting events we can share with our members who are unveiling their business to our community. This will help to ensure our Ribbon Cuttings will be more successful and everyone is on the same page. Last quarter we created systems for our Business @ Breakfast events (for speakers, hosts, businesses and restaurants), Monthly Mixers, Chairman’s Circle, Chamber Benefits, Ambassador Guidelines and Ribbon Cuttings (for Host and Business). It’s important we get members of the business community as involved with the Chino Valley Chamber of Commerce as possible. To that end, we made it our mission last month to speak with as many stakeholders in our community to get them more involved. We’ve spoken with government officials, city council members, school board members, Board Members and large businesses to learn how the Chino Valley Chamber of Commerce can better serve them. Our upcoming Salute to Public Safety will see increased representation from all those entities listed above. We identified several opportunities to enhance our marketing efforts going into 2019. Internally we’ve made changes to help get professionally designed marketing materials for our events moving forward. We’ve also created a Marketing Committee made up of our Board of Directors who will be advising our team on our marketing efforts moving forward. Thank you to our Marketing Committee who has stepped up to make sure our marketing messages are more modern and effective (see Salute to Public Safety flyer above). This year we have a great program planned, have added more sponsors and are looking to grow on the number of attendees from last year’s 187. Looking forward to getting feedback from our attendees too. While we defined a large number of things the Chamber does last quarter, there are still many things we hope to complete by the end of this first quarter. We still need to systematize our events and the marketing plan for each event, committee guidelines, membership followup plans, and expectations and guidelines for board members. The biggest thing we’re trying to tackle is creating an effective yearlong marketing campaign that will ensure we are doing a better job of promoting and marketing our events. Another big component we’ll be introducing, which has been a long time coming, is the ability to pay for your membership automatically. Our biggest goal this year was to grow membership by 84 members (7 members per month). Our membership data goes back to January, 2014 and our membership is higher than it has ever been at 384 members and we have no signs of slowing our membership growth. To date, we’ve added 28 members since July. We’d like to see if our Chamber can grow our membership by 56 members during March. We have plans on how to make that happen and one of those plans will involve you helping us grow members in 2019. Be on the lookout for our Membership Drive in March and our New Member Mixer on February 21. We are working to improve our communications with our members by incorporating numerous ways to get our message to you, the business community and stakeholders of the Chino Valley Chamber of Commerce. Be on the lookout for updated outreach methods to keep you in the loop regarding anything and everything happening in the Chino Valley business community. Have any thoughts on our goals for 2019?